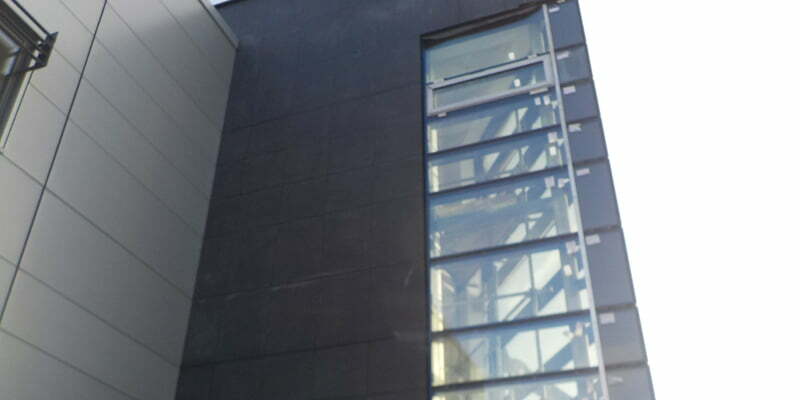 P Mac were called upon by Stone Systems Ireland to clean all the Asian black limestone at the newly erected IDA building in Waterford. The client was concerned this surface could be a target for graffiti in the future. Generally, the only way to remove graffiti is by using chemicals – and this limestone would be damaged by the use of any harsh chemicals or acids. P Mac therefore advised that the best solution was to coat the surface with an anti-graffiti sealer. This would mean that any paint could be removed using hot water and Stone Soap if necessary. We initially cleaned the facade by padding it with P Mac Stone Soap, and then we hot washed the entire facade. Once dry, we applied two coats of anti-graffiti coating. The client was very happy with the outcome.